NEW DELHI -- People across India are hailing the composure of a television news anchor who learned of her husband's death as she delivered a breaking news report on live TV. 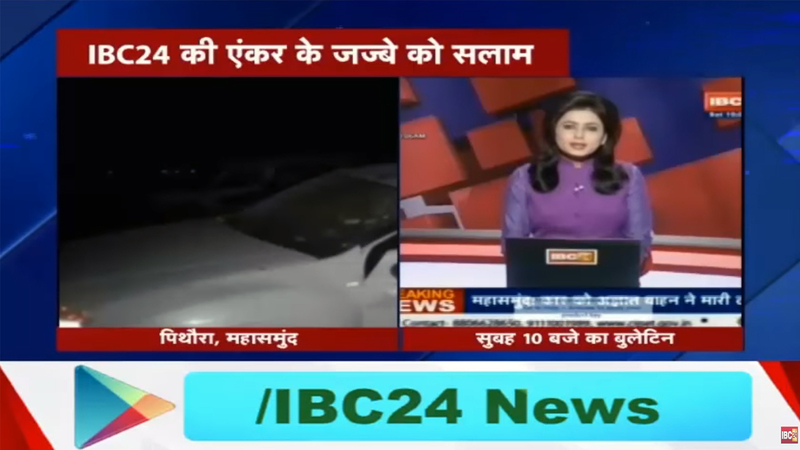 Supreet Kaur was reading the morning news bulletin for India's IBC24 channel in Chhattisgarh state on Saturday when a reporter called in a story about a fatal road crash. Although the reporter didn't name the three victims, Kaur realized her husband, Harsad Kawade, was among the dead from the details of the story. "For a moment her voice trembled, but she collected herself and carried on reading the news till the bulletin got over 10 minutes later," Ravikant Mittal, IBC24's editor-in-chief, said Sunday. Once the broadcast was over, Kaur emerged from the studio and broke down in tears. She called the reporter for more details from the accident site before informing her family about the accident, Mittal said. Kaur and Kawade had been married for just over a year and lived in Raipur, Chhattisgarh's capital. Mittal said Kaur has been working with IBC24 since its inception nine years ago. "Amazing grace" was one of the many comments posted on Twitter to describe Kaur's composure.